As per Gartner, by 2018 over 50% of the contact Centers will be redirecting their investments towards innovations in customer experience! Modern-day customers do not just purchase a product, they consider the purchase cycle as an experience, which they relate to while making a repeated purchase. So, ‘customer experience’ has certainly garnered the much-needed attention today. Experts believe that this is the next highly competitive battleground, as services and products no longer continue to be the competitive differentiators for global businesses. A progress report by Walker states that by 2020 customer experience is expected to take over product and price as the key brand differentiators. Today, the experience which your contact Center provides to its customers is the most important piece of the puzzle. According to a Study by McKinsey, 70% of the buying experience is based on how good contact Center agents make their customers feel. Often, customers refrain from reaching out to contact Centers due to bad experiences in the past and try tapping other options to resolve their queries. All these factors make it extremely important for contact Centers to focus on providing superior customer experience. Despite customer experience being recognized as an important factor by contact Centers, they still face a difficult time providing the ‘best customer experience’. Well, contact Centers cannot be entirely blamed for it, as it is not easy to figure out what makes for a great customer experience. Timely, personalized, effortless, and rewarding experience across every channel is what customers expect when they turn to contact Centers. 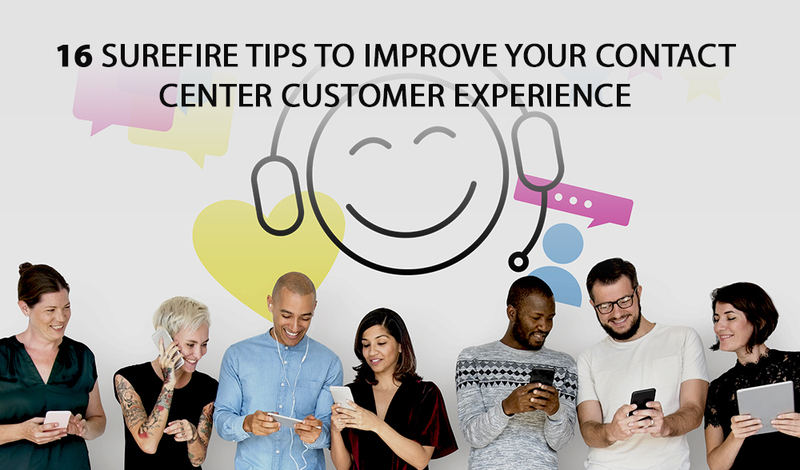 If you own a contact Center and are struggling to retain customers, following tips can help you improve your customer experiences and turn first-time visitors into repeat clients. Although this is a topic which has been discussed countless times, it’s significance cannot be overlooked. The first step to improving contact Center customer experience is to understand the audience and identify their needs and expectations. Before rolling out a strategy to ensure better customer experience, it is essential for contact Centers to identify what an ideal customer experience would be like. Once you freeze on your version of an ideal customer experience, focus all your efforts on providing the experience you intend to. Aberdeen Group Inc. reports that businesses with strongest strategies for customer engagement could retain 89% of their customers on an average as compared to companies with weaker strategies, who retained mere 33% of their customers. This stats show why multi-channel approaches are becoming popular. Going omnichannel or multi-channel will enable your customers to easily interact with you through the channel of their choice. Successful customer-centric strategies do not just provide top-notch support but offer preemptive support. This could be anything including providing a technology tutorial. Contact Centers providing preemptive support, such as a product demo, will increase customer satisfaction and decrease the instances of frustrated customers. Although several market research analyses available today provide contact Centers with enormous information on customer experience strategies, nothing can replace the hint that customers provide. So, the best option is to pay attention to what customers say or expect and precisely cater to it. 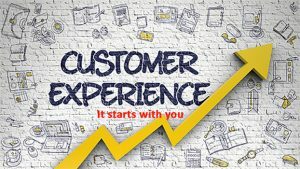 Customer experience management (CEM) programs are the best tools to control, track, and design customer interaction at every touch point to meet and exceed the customer demands. So, developing an effective CEM will track the improvements in customer interaction and can be used as a scale to measure the efficiency of your efforts. Modern-day customers do not like being helped, as they prefer helping themselves out. According to a CRM survey, approximately 45% of the firms offering mobile or web self-service witnessed an upsurge in their site’s traffic and a decrease in phone inquiries when they let customers help themselves. Take lessons from the business frontrunners and add innovation to your customer service to provide better customer experience. Customer experience at Disney, Tesla and Apple are worth evaluating to understand what they do differently to keep their customers happy. These giants use innovative and path-breaking approaches to cut through the competition and surprise their customers with lifetime experiences. It is essential to improve the performance of your contact Center to gain a competitive advantage. The best way to do this is to use IVR, call routing and analytics to segment the customers. Focusing on the overall performance metrics and business KPI, and empowering agents with omnichannel customer experience platforms can serve as a good start and increase agent productivity. Rather than just creating one team of agents to manage customers, it is essential for contact Centers to turn all the employees to customer experience advocates. This can be achieved by developing a customer-centric approach throughout the contact Center. With the advent of big data analytics and artificial intelligence, it is now easy for contact Centers to set up some sort of stats and analytics to understand who they get in touch with. This is exactly where businesses can leverage the benefits of customer experience analytics. Analytics allows you to accurately measure numerous customer experience stats and metrics, such as demographics, behavior etc., in real time. Once you have the accurate metrics in hand it will be easy for you to devise new strategies to improve the customer experience at your Contact Center. Having a great customer experience strategy is critical to improving your contact Center’s customer experience. It is a known fact that businesses just cannot exist without its customers and hence companies should focus on winning new customers while retaining the existing ones. A Bloomberg BusinessWeek survey found that providing a great customer experience is now a top strategic objective of businesses. Besides, according to Customer Management IQ Survey, over 75% of the leaders and customer management executives rated customer experience as the most important factor. It certainly takes some rewards and recompenses to retain customer loyalty. This is no different when it comes to keeping customers engaged for a prolonged duration. The chances of your customers remaining loyal will increase when you frequently reward them for engagement with attractive perks, such as discounts, cash-back offers, loyalty rewards, etc. It’s to be noted that attractive perks not only provide a great customer experience but also act as a great marketing tool to further your business prospects and spread a positive word about your business. Customer service begins where the customer experience fails! So, it is important to ensure that the customer service experience is top-notch throughout the customer’s journey. This can be achieved by adopting an omnichannel approach for eliminating interaction silos. Consumers should be able to begin their journey on any channel and complete it on another without facing any complications. For employees to perform their best in the job, they must be happy about what they do. This applies to your calling agents as well. The influence of an unhappy calling agent will directly influence your customers’ view of the company. This is because frustrated agents are often impolite or rough to the customers, thereby creating a negative impact on the company. So, it is important for the businesses to create a happy working environment and ensure that the agents are happy in the workplace. Businesses today cannot afford to take customer experience lightly. Providing an excellent customer experience requires a perfect combination of numerous factors, one of which is hiring and training the best team and empowering them with the right tools to achieve the desired results. Also, understanding the needs of your target audience and establishing an emotional connect can be one of the most powerful ways to enhance the overall customer experience. After all, happy and satisfied customers mark or mar a company’s fortunes. The tips listed above have worked wonders for companies, and can also help your customer service department earn some brownie points. What do you think of these tips? What steps do you follow to boost the morale of your contact Center executives, and deliver amazing customer experience? I am sure there must be some tips up your sleeve that deserve mention. Please share your thoughts in the comments section below. Nancy Seby is the online marketing manager at Flatworld Solutions, a global corporation with offices in India, Philippines, US, & UK. Having over 15 years of experience in digital marketing, content management, web analytics, online & offline SEM, social media campaigns & website management, she is familiar with the needs of her online audience. 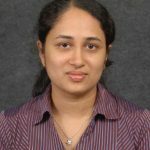 She believes in simplifying user experience through cutting-edge technology – if the complicated code in the background does not make life simpler for a visitor, it’s useless.